White combed hemp tops. 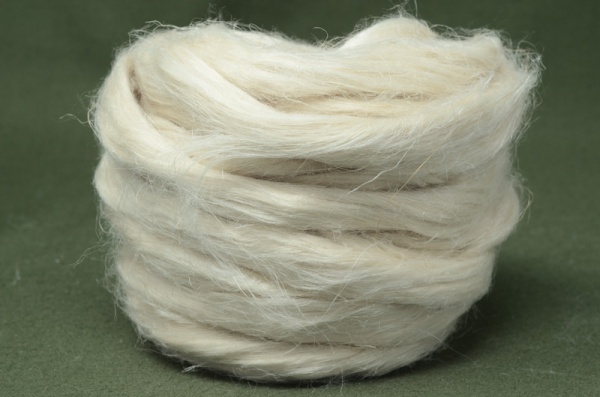 A fairly soft handle for quite tough fibres. Easy to handle and spin. They would also give interesting effects if combined in small amounts in felt.